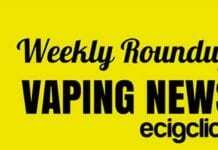 Home Latest Vape News and Views Giving up Smoking – Easier Said Than Done? Giving up Smoking – Easier Said Than Done? Everybody is going on and on about how important it is to stop smoking. Yes, we all know it causes serious problems – from breathing difficulties and prematurely aging skin to serious heart or respiratory diseases and cancer, the list is endless and downright scary. We all agree that the sooner we give up smoking, the better it is for our health. But hold it right there, it’s not that easy. Once hooked on nicotine, giving up is extremely hard and some of the withdrawal symptoms – including vicious mood-swings – can be rough to say the least. As for coughing – well, the cough will get positively worse for quite some time. Seems that the system is busy clearing itself out, but in the meantime, the smoker is quite convinced that they will without a doubt die if they don’t have a smoke to stop the coughing. Those poor lungs can’t cope without being covered in black fog. Add the general feeling of somehow being deprived of ‘the one luxury’ they’ve been allowing themselves and off they go to buy another packet. Stress often doesn’t help, either. Most smokers feel, whether it’s true that it works or not, that having a cigarette will calm their nerves in stressful situations. They try to give up, all is well and then something happens that will stress them out, What do you think they do? They reach for the packet. Been there, done that, started smoking again after six full months because something drastic happened. There are times when the craving can drive even the strongest person with heaps of will-power up the wall. Thankfully, a whole arsenal of aids can be found to help with that craving. Chewing gums, lozenges and mini tabs to stick under your tongue provide nicotine via the lining of your mouth. Lots of people don’t like the taste – it’s either even more like eating an ashtray than smoking itself or it takes the roof of your mouth with menthol effects enough to clear a blocked drain pipe. There are, sadly, also times when people chew those darn things – and are smoking at the same time, because they simply miss the hit on the throat and the general feeling they get with smoking. Nicotine patches are the answer here, as they get stuck to the top of the arm or even the stomach and release the nicotine through the skin. This is great, as long as you don’t develop an allergy to the plaster. It shouldn’t happen, but it can, and it will, I’ve seen the results on a friend. All of them will ultimately help you to overcome the nicotine craving, but what about those restless fingers? Part of our addiction to smoking is actually all about that almost religious ritual of lighting up, enjoying a few drags and generally having something to do with our hands. Giving up can leave a person downright twitchy and endlessly searching for a replacement. Fiddling with and chewing pens helps, but can get messy. E-cigarettes can solve that problem easily. They not only look like cigarettes, they feel like the real thing and allow us to keep that ritual going without killing ourselves. They provide the look, the feel, the taste and the ritual (well, apart from the lighting up, maybe). Most of them have the typically yellowish colored filter-end (into which, by the way, the nicotine cartridges are inserted), a white bit about the right size and a ‘glowing end’. Quite a few of them actually go as far as using LEDs to get a ‘real’ glow and produce smoke. Totally harmless vapor (not smoke), I hasten to add. There are also vape pens and box mods for the heavier smokers. Using one of these sweet little gadgets feels just like having a proper smoke, reduces that craving and keeps our fingers too busy to reach for the real thing out of sheer boredom. You can even use them in public places, which is great. Being out and about for a drink with friends is usually the hardest bit when trying to quit smoking. There is, after all, nothing quite like enjoying a cigarette with a drink. Rather than sneaking outside into the cold rain to have a ‘crafty’ one and ruining all the hard work of not smoking the rest of the week (as well as returning to the most disapproving looks and comments), we can stay where it’s dry and warm and enjoy an e-cigarette without getting thrown out. Well, in some places, anywhere. A lot of US states and other countries either already have banned or are considering banning even e-cigarettes in public places because of their possible appeal to minors. Now that is a shame. It does turn out, though, that many workplaces allow them, because it stops their workers from sneaking off out for the odd crafty cigarette when they should really be getting on with their work. Well done, bosses. Check out our best e-cigarettes list for an guide on the options you can choose. Click here to learn more about the research carried out with e cigarettes.